Renovated 2 bedroom 1.5 bath with wood + tile flooring throughout on a high floor with ocean view. Euro-style kitchen with granite countertops and new cabinets. Rent includes AC, premium cable and fiber optic high speed internet, water, and all amenities. Access in complex to 2 pools, 2 gyms, saunas & steam room, jacuzzi, business center, convenient store, cafe and pizza, Tiki bar, billiards, massage room. 24 hour security and valet service. Onsite management and parking up to 2 cars. Floor to ceiling hurricane proof sliding glass doors in living room + bedroom windows. 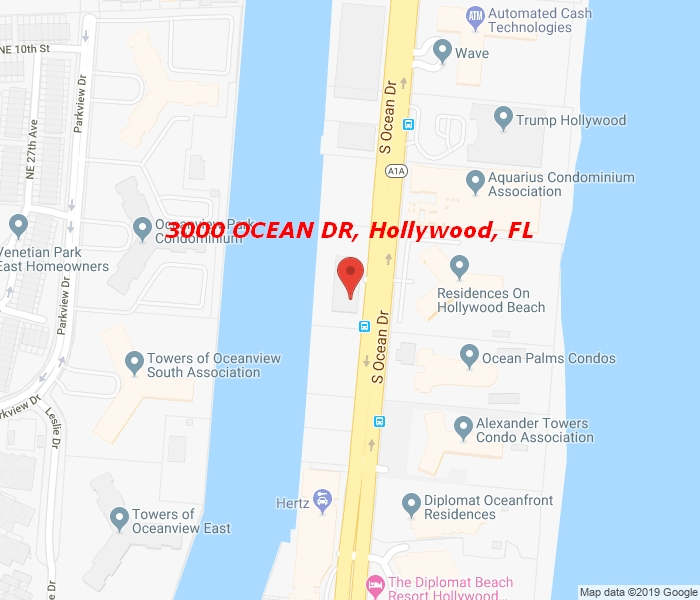 Great location on Hollywood Beach next to Trump Hollywood, Gulf Stream shops & restaurants, Hollywood Beach boardwalk, and Aventura, Sunny Isles Beach, etc.